Between the choir and the body of the church was a close place with a pan of fire, to make the child ready in. When the child was brought to the hall every man set forward. The citizens of London, two and two ; then gentlemen, squires, and chaplains, the aldermen, the mayor alone, the King’s council, his chapel, in copes ; barons, bishops, earls ; the earl of Essex bearing the covered gilt basons ; the marquis of Exeter with a taper of virgin wax. The marquis of Dorset bare the salt. The lady Mary of Norfolk bare the chrisom, of pearl and stone. The officers of arms. 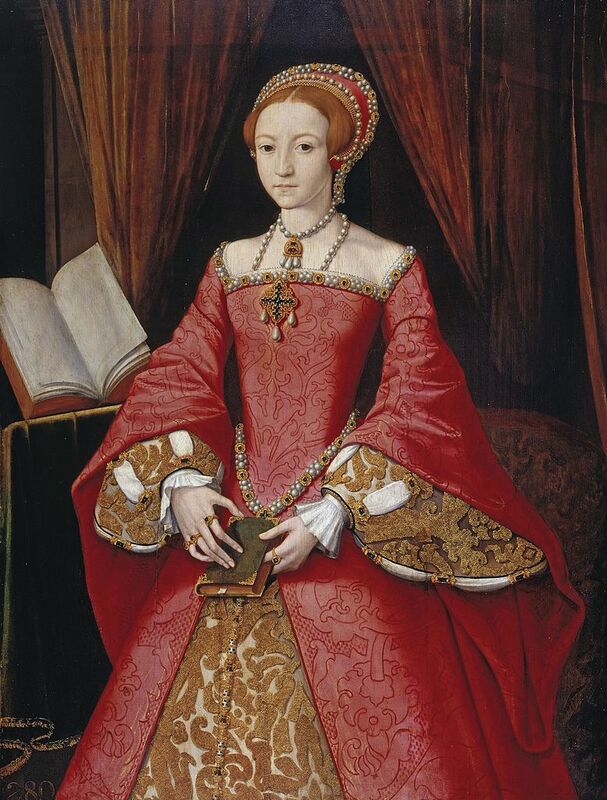 The old duchess of Norfolk bare the child in a mantle of purple velvet, with a long train held by the earl of Wiltshire, the countess of Kent, and the earl of Derby. The dukes of Suffolk and Norfolk were on each side of the Duchess. A canopy was borne over the child by lord Rochford, lord Hussy, lord William Howard, and lord Thomas Howard the elder. Then ladies and gentlewomen. 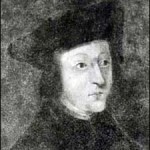 It is important to note that Chapuys was a supporter of Catherine of Aragon and a champion for the rights of Princess Mary, who had been declared illegitimate during the course of Henry’s “Great Matter” and subsequent marriage to Anne Boleyn. 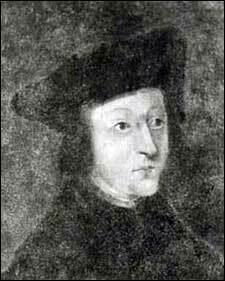 Chapuys doesn’t believe Princess Elizabeth is the true heir to the throne and is picking up on anything he can to discredit her position. 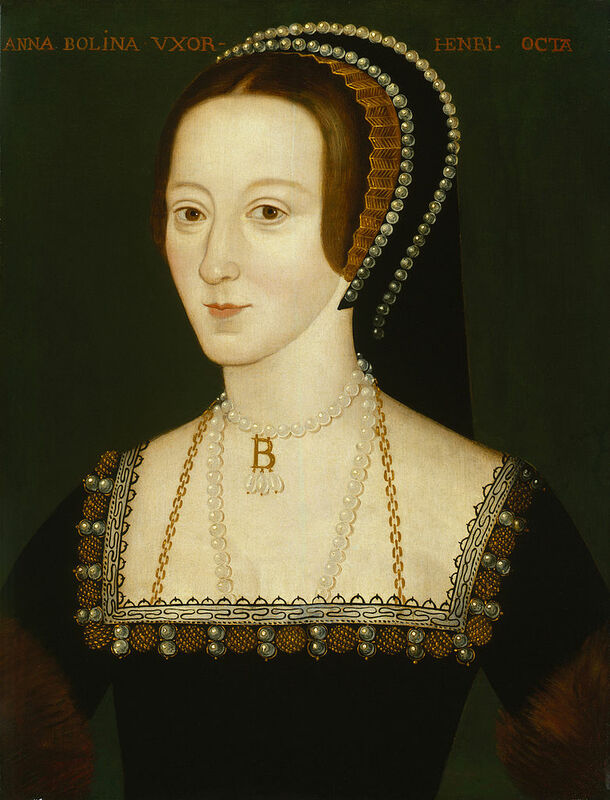 His words are therefore very biased and should be taken with a pinch of salt, not least because Anne Boleyn’s coronation, which he describes as “cold and disagreeable”, was in fact quite a magnificent affair! 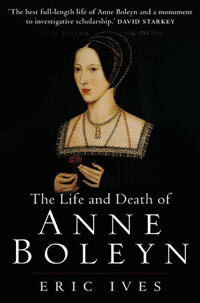 This entry was posted in Anne Boleyn, Elizabeth I, Henry VIII, Tudor Events and tagged Anne Boleyn, Chapuys, Christening, Elizabeth I, Henry VIII, Tudor Events by admin. Bookmark the permalink.